Last October, I finished the 2014 Chicago Marathon with a time of 4:59:18. I ran the entire way through– no walking, which was a first for me. Finishing that race, a world class marathon, came with the usual feelings of having just accomplished something awesome and taken part in a superior race, but it also came with a lot of relief. I learned through a tough training season that some disruption in my “kinetic chain” in my right leg was causing a knot in my calf to form, so I had to get physical therapy at least once a week to loosen it up with dry-needling. I had to put my training on hold for a few weeks because running hurt so bad, and I questioned whether I would even be able to run the race. The mental and emotional toll was one of annoying levels. After that race, I embraced some down time with wide open arms. I had no intentions of running another marathon for at least a year. In the months since, I have run four half-marathons, two 10 milers, and five 5Ks. I got a 10-miler PR. All without having breached 25 miles per week for the last 6 months. I’ve loved training for half-marathons: you get the structure and routine without the huge committment. And even though it was a structured training schedule, I still got the rest and mental break that I needed all the while maintaining my base. I’ve learned that I need a structured training plan and a goal to stay motivated to run, and that’s okay. Had I not gotten burned out, I might not have known this was who I am as a runner. Now that marathon training has started, I have the same feeling as a kid on the first day of school. I’m excited for a new schedule, a new routine, a new set of goals, and yet the same things about running that keep me coming back for more. My goals for the next 18 weeks are ambitiuous, some, but also I’m trying to build a set of goals around where I am as a runner right now. That is probably the hardest thing for me to do. 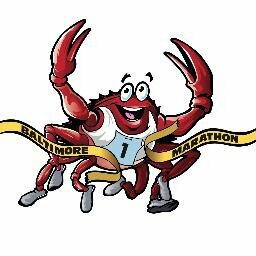 The Baltimore Marathon will be my 6th one, and I finally want to finally see a 4:00 finish time. I want to stay committed to my training plan, be consistent throughout, confront the doubt and boredom and fear head-on instead of taking a rest day to recoup. I want to focus on nutrition so my body has what it needs to repair, and I want to sleep no less than 8 hours a night. I want to vary my runs so I’m not in beast mode the whole time. All of these goals would lead me to the perfect marathon. Looking at this, I know that I’ll have to find a course on which I can practice going uphill as well as practice going uphill at the end when my legs are tired. I’ll need to practice how to stay positive when I am irritated at the course and want to blame it for being hard. I’ll definitely need to run where it’s flat, too, so I can sustain my pace in the middle part of the race, too. I’ll also need to practice energy management. Practice timing my splits according to race pace so I don’t get complacent when it’s flat and over-confident when I go downhill. Work on core stabilization so I can handle the downhills as well as I can handle the uphills. Whereas the Chicago Marathon was flat and fast and I didn’t need hill training for it, this course will definitely require that I work on going uphill. I know from experience now that training for a marathon never goes the way you want it to go. I say I will focus on eating nutritious foods and getting 8 hours of sleep minimum per night– I can control those things. But life happens when you’re training for a marathon. In 2013, I was training to run the Air Force Marathon and I had to cancel it 8 weeks into training to attend a friend’s wedding happening that same day in another state, and then I moved across the country to start a new job. In 2014, shortly before starting training for Chicago, I lost my job and then got another one back in DC, so I moved across the country again and then I was injured and lost a lot of training. 18 weeks is a lot of life; a lot of life can happen in 18 weeks. Even if life doesn’t happen, I’m going to crave unhealthy foods or get too lazy to grocery shop or I’ll have a horrible night of sleep for any number of reasons. I may have the opportunity to travel over the weekend and be confronted with the dilemma of getting my long run done. I have a hard and fast goal of running a 4:00 marathon, but maybe I will get into my training and realize that my goal is too ambitious. Or maybe I will surprise myself and realize that I am capable of a 3:45 marathon (sidebar: that gave me chills). I may have to “be okay” with a 4:15 marathon. I may realize that training for a goal time is stupid. Any number of scenarios can happen, and I’m going to let them happen because I’m focused more on how to become a better runner through healthy eating, sleep and rest, and strengthening first. Marathon training takes a lot out of you, but you also get what you give. Maybe I have been giving it the wrong things. Eat to train: Focus on eating nutritious, nourishing foods that fuel recovery. Sleep more: In bed no later than 8 hours before I have to get up. 9 hours, even better. Cross-Training: Incorporating the Iron Strength workout into my training plan. Stick to the plan: Every marathon I have trained for, I seem to deviate from the schedule. I have chosen a schedule that allows for a lot of variation in run type and exercise, so even on my most exhausting days, I should still be able to do something. Practice mental toughness: Learn to zone out so I’m not focusing on anything but the present. Get a massage at least once a month. I’m terrible about this, but with my calf knot, my options are either a masseuse or a physical therapist. Just like I did with the Chicago and Minneapolis Marathon training, I’ll be posting my weekly progress here. Here’s to the next great adventure!